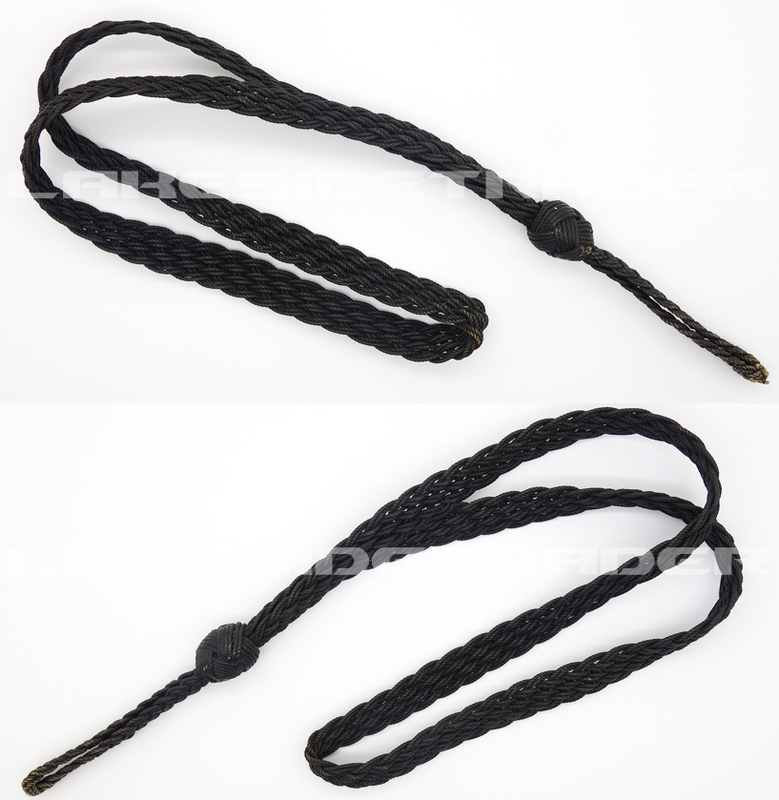 It is constructed out of twisted interwoven black cotton thread. The whistle loop is worn. It measures 16 inches long.